Looking for an amazing high-quality dog food for your pup? 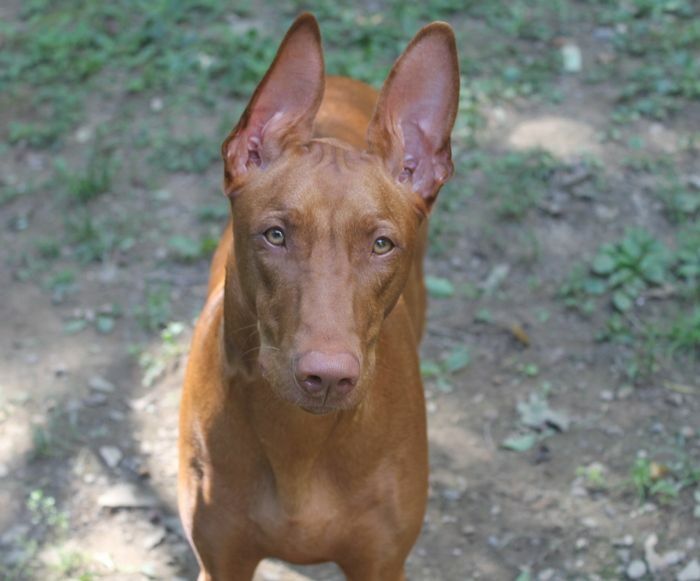 Read on for our AvoDerm Natural dog food review and find out why I choose it not just for my pit bull mix with skin sensitivities, but for my high-energy Pharaoh Hound, too! I’ve been in love with the brand for years, and for good reason: it has outstanding ingredients that really do help support your pup’s skin and fur! When you have an itchy dog, that’s more important than you realize. Read on to find out why I love it so much! 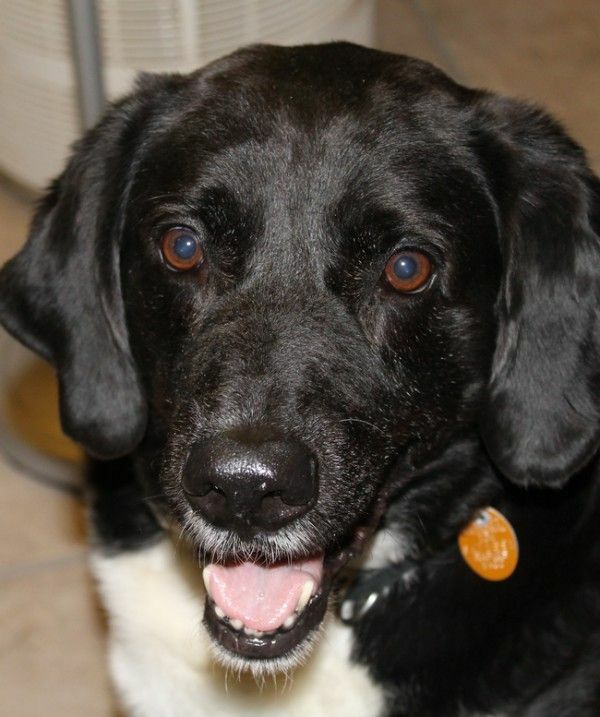 A few years ago, when my Cooper was still with us, I discovered the wonder that is AvoDerm Natural dog food. 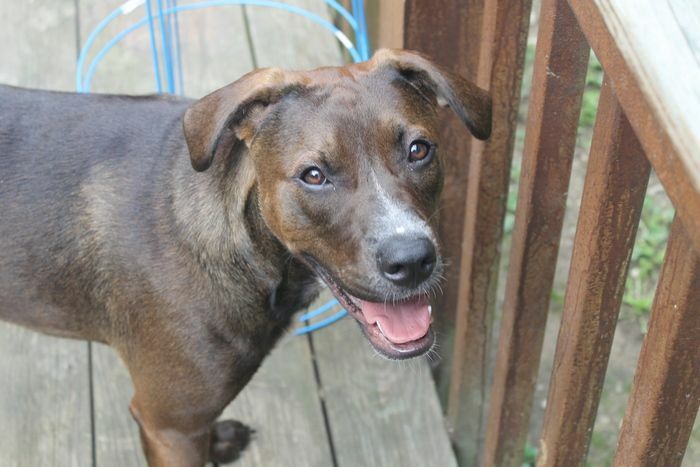 Boops (as my son called him) was a mystery mix, rescued from a shelter at 6 months old. Even though he’d eat pretty much everything he could get his paws on, we discovered that he actually was quite sensitive to many foods. Poor guy would get so itchy that his tail would become bald! After just a few weeks on AvoDerm Natural, I saw such a fabulous improvement. 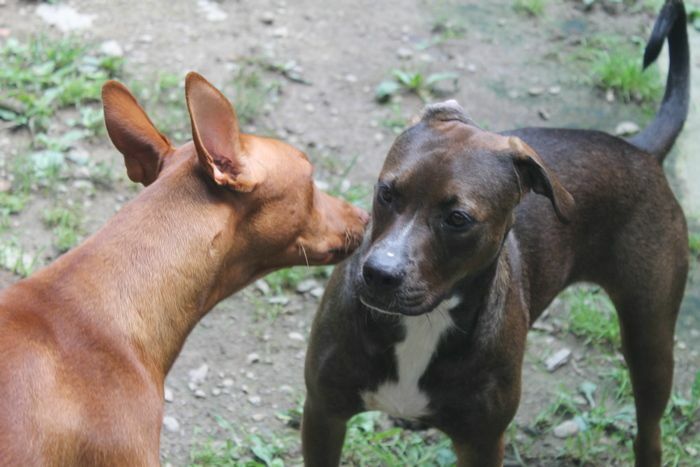 While Freya got Cooper’s “gobble it up” spirit, Mocha seems to have inherited his itchiness and skin conditions. I think it’s the pit bull in her, as they are prone to skin sensitivities. At first, I thought it was a food allergy, and cut her off from all poultry. She was NOT a happy camper. I eventually discovered that Mocha has seasonal allergies that have nothing to do with food. With poultry back on the menu, it was time to try out one of my favorite dog foods: AvoDerm Natural Chicken Meal & Brown Rice formula. 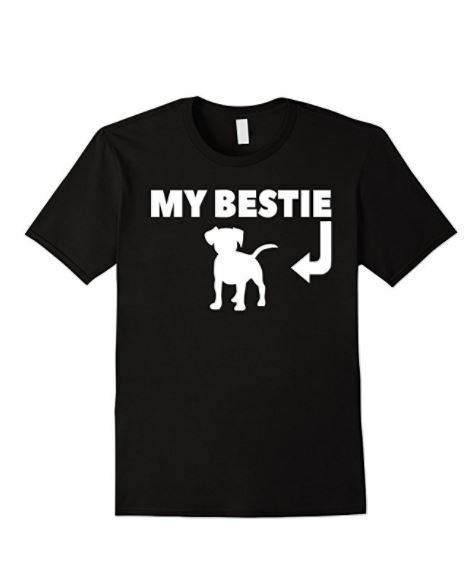 It’s their #1 seller for good reason! Let’s check them out! 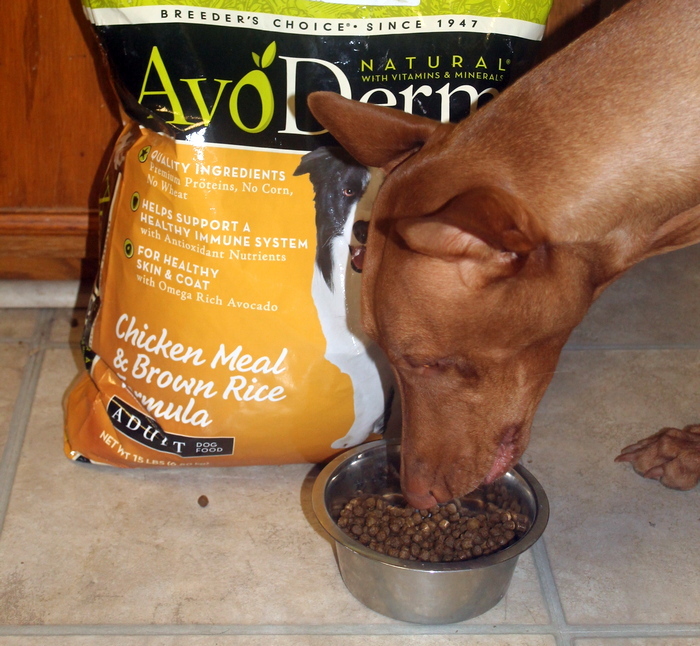 AvoDerm Natural Dog Food Review: 5 Reasons Why We Love It! You know how avocados make your skin look and feel healthier? Well, they’re also fabulous for your dog’s skin and fur! That’s one of the main reasons that I choose AvoDerm Natural dog food. This superfood is packed full of a lot of nutrients that your dogs need. Mocha gets the nutrition that she needs to maintain a gorgeous coat and keep up with Freya, while Freya gets what she needs to support her highly active lifestyle! AvoDerm Natural is free of corn and other fillers. It also contains no wheat, soy, artificial preservatives, or animal by-product meals. For pups dealing with skin issues on top of food allergies, the omega 6 and omega 3 fatty-acids really help promote healthy skin and fur. I remember how surprised I was back when Cooper first tried AvoDerm. After just a couple of weeks he was noticeably less itchy, and his fur looked beautiful. AvoDerm Natural pet foods are made in small batches that are cooked at lower temperatures. Why does this matter? Well, basically, it helps ensure that more of the nutrients, like all the antioxidants and the nearly 20 vitamins and minerals, make it to your pet and supports better digestion and overall health. 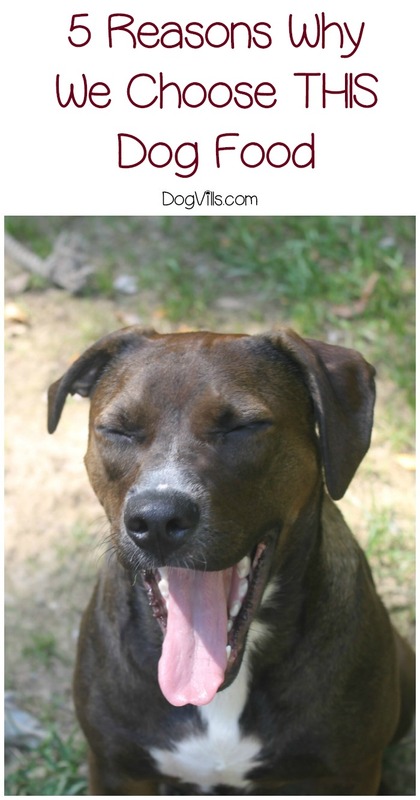 Where is AvoDerm Natural dry dog food made? Right here in the US! Not only that, but they are super selective about their supplies to ensure that your dog is only getting the best California avocados. In fact, every ingredient is tested before being accepted. 5. Plenty of variety for all your pets! With numerous different formulas and recipes, you won’t have a problem finding just the right one for your dog. As I mentioned above, this time around we did the Chicken Meal & Brown Rice formula. 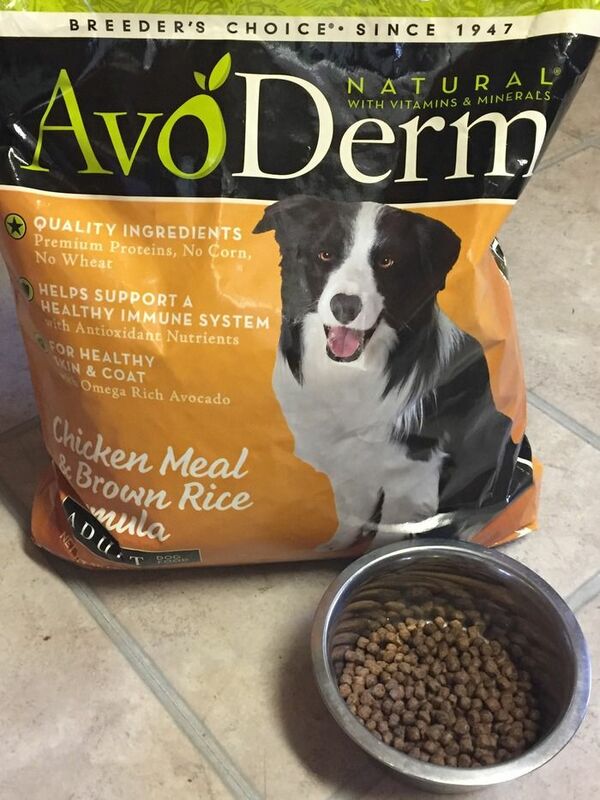 You can also find AvoDerm Natural dog food in grain free varieties. 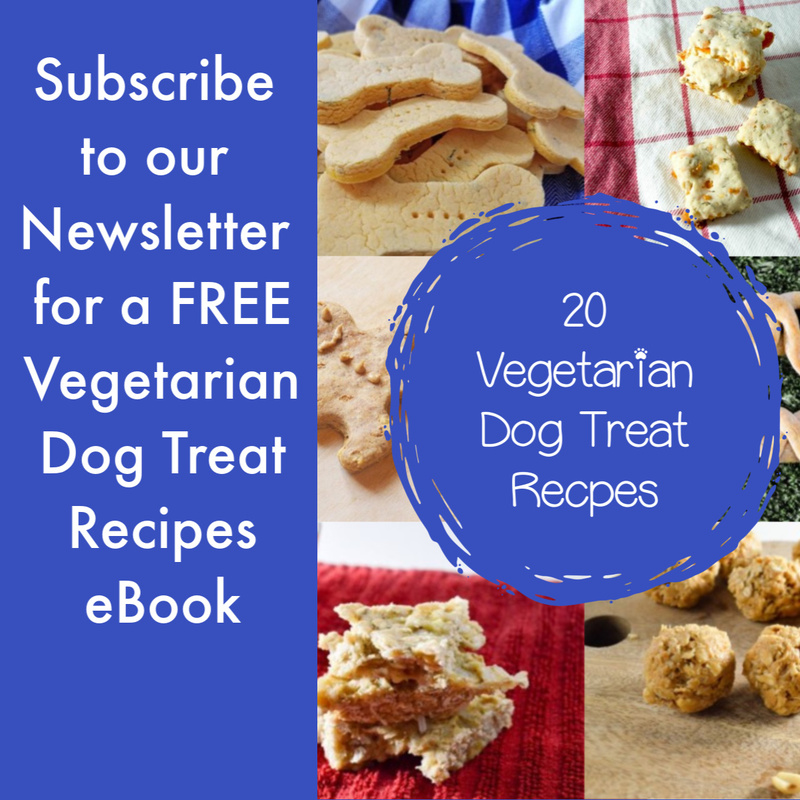 I’ve tried their grain free, limited ingredient diet Revolving Menu in the past, where my dogs were huge fans of the Duck Recipe. They even have a full line of cat food for your feline friend: Switch now on Amazon. Of course, even the best dog food can’t do its job if your dogs don’t like it, right? 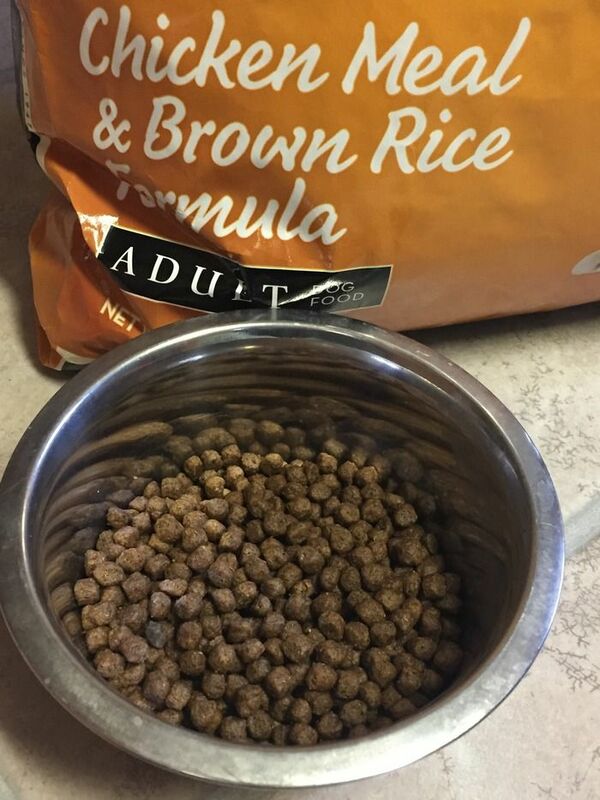 Well, good news: my dogs absolutely LOVE the taste of AvoDerm Natural Chicken Meal & Brown Rice recipe! Since Mocha eats like a bird, I’m also really happy that the kibble pieces aren’t humongous. It was specially crafted for all adult dogs, both large and small, and the kibble is just the right size for her. Great news, Amazon shoppers! You can find AvoDerm dog food in the Prime-eligible pet food section! Thank goodness, too, because I always seem to overestimate how much food we have left and need to get my delivery fast. Now that you’ve read my AvoDerm dog food review, tell me why you think this would be the perfect food for your pooch!